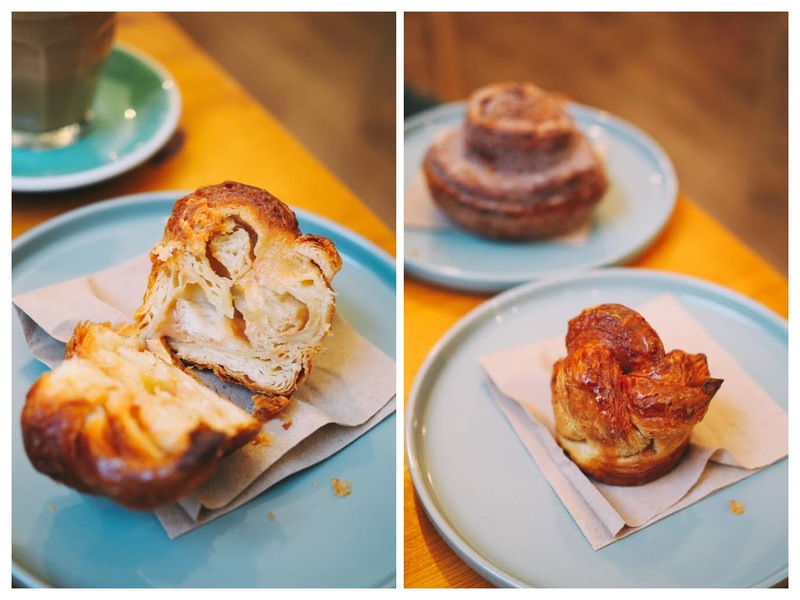 Coffee & Pastries at Proper Order Coffee Co.
Disclaimer: this is an independent review, I paid for my coffee and pastries on each visit. 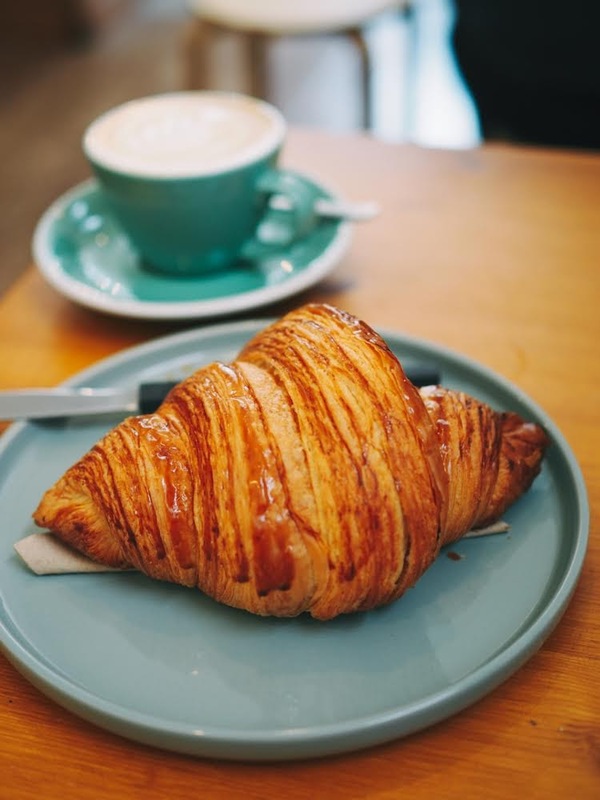 If you follow me on Instagram (@frenchfoodieindublin) you probably know from my stories that from time to time I like to indulge in buttery pastries and coffee in Proper Order Coffee in the morning. I'm very continental, what can I say? 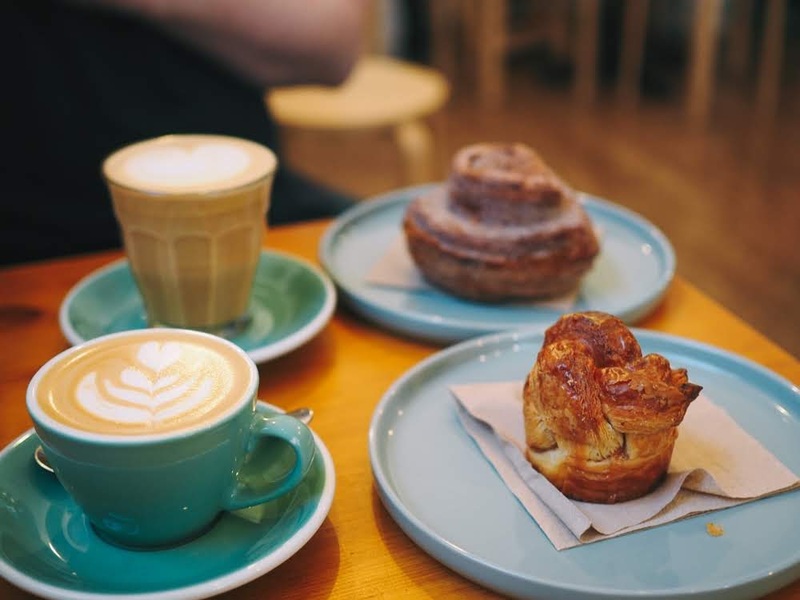 Opened in 2016, this speciality coffee shop is a fine little spot located just off Smithfield square, next to an alley that happens to be a street art cluster. 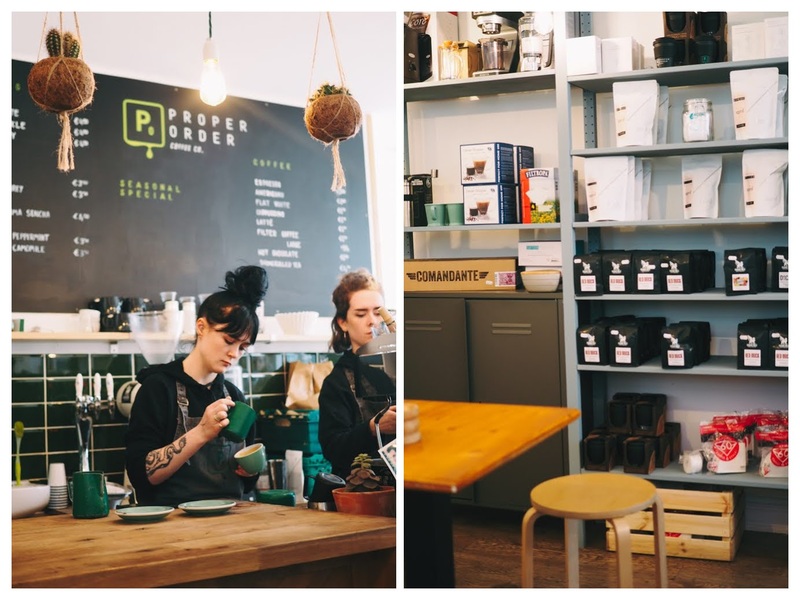 Ran by multi-award winning barista Niall Wynn, Proper Order is a multi-roaster café but seems to mostly feature coffee beans roasted by Square Mile Coffee. It's a narrow little space with white brick walls and a few wooden tables, they also have shelves from which you can pick some coffee beans, equipment and their branded merchandise. I happen to enjoy visiting on a Thursday, Friday or Saturday when they have freshly baked pastries made by the couple behind Scéal Bakery. 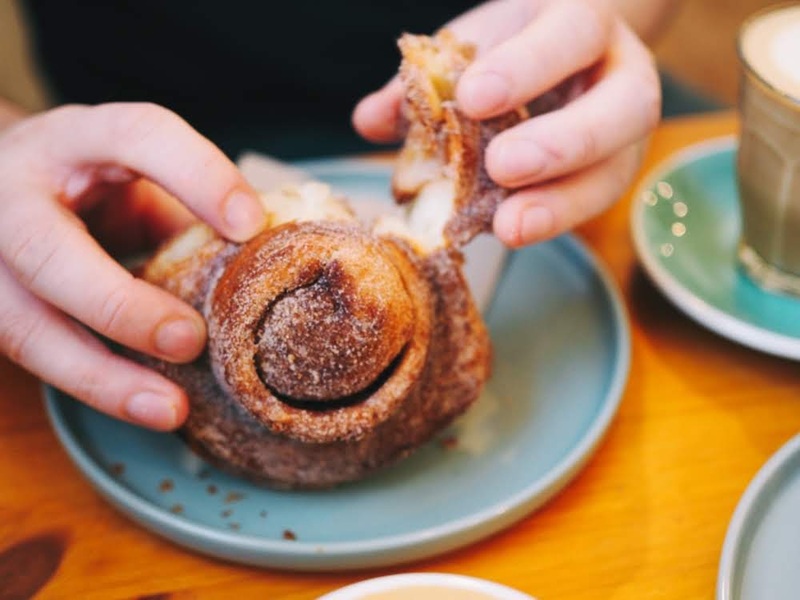 The selection can vary but mostly consists of croissants, pains au chocolat, cruffins (a croissant/muffin hybrid with different fillings and toppings) and morning buns (a mix between a a cinnamon scroll and croissant). The latter is my favourite from all the different treats I have tasted so far; I particularly love to unroll the scroll of the morning bun and tear it apart to eat it. It ain't easy to find a spot where you can sit, have good coffee and pastries in Dublin city centre before 9am, so Proper Order has became a destination for me for this reason. Between you and me it's a lovely location for my occasional breakfast dates with Mr. FFID. According to their website Proper Order Coffee Co. will open another location in Dublin this year which will also focus on food. I just wonder on which side of the river it's going to be on?